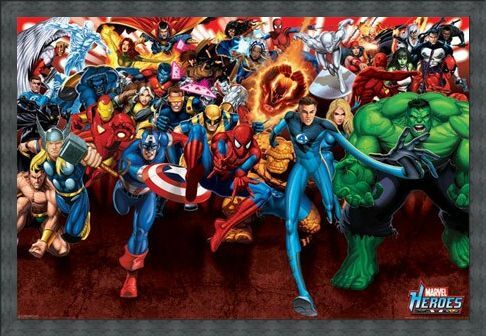 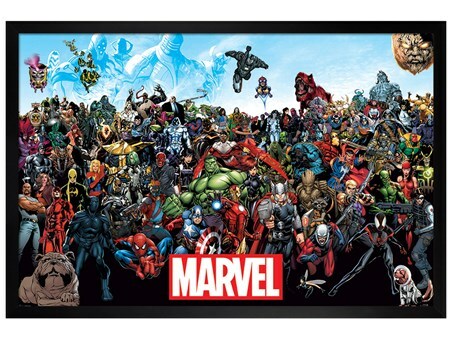 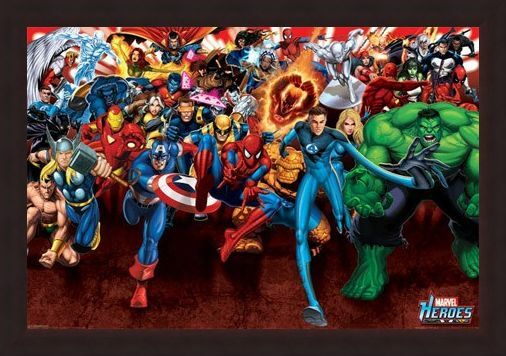 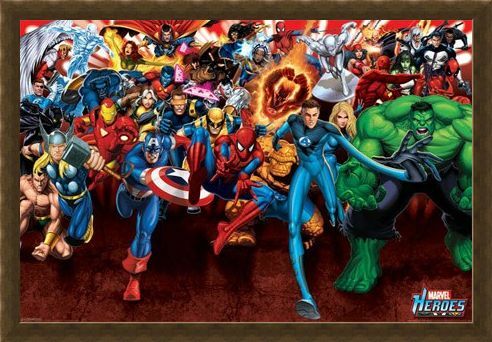 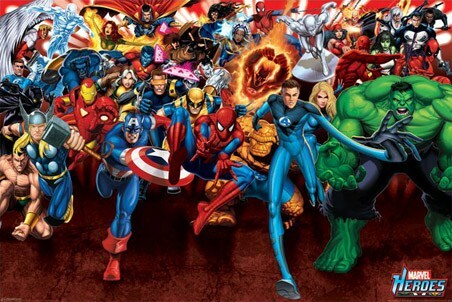 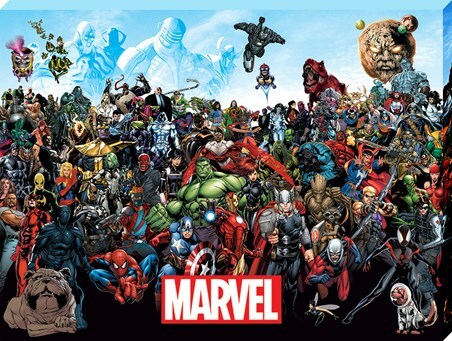 Comic Character Poster: Packed with all of your favourite characters from the magnificent Marvel Comics, this fantastic Marvel Heroes poster is sure to help all of us recall the fun, carefree days of our youth. 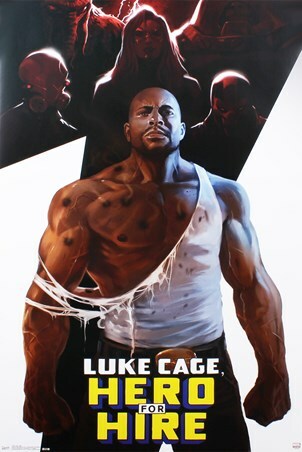 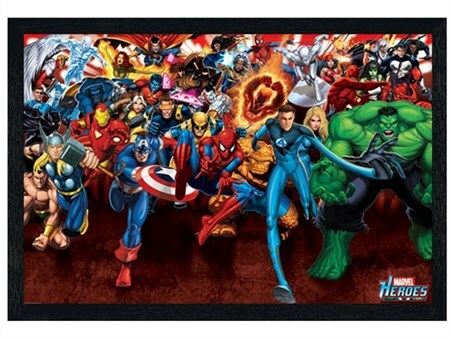 From Spiderman, The Hulk and The Silver Surfer to The Fantastic Four, Iron Man and Captain America, this bold and bright poster is full of faces you are sure to recognise and the perfect item to liven up that wall. High quality, framed Attack!, Marvel Heroes poster with a bespoke frame by our custom framing service.